Research shows that African American students, and especially African American boys, are disciplined more often and receive more out-of-school suspensions and expulsions than White students. Perhaps more alarming is the 2010 finding that over 70% of the students involved in school-related arrests or referred to law enforcement were Hispanic or Black (Education Week, 2013). A 2009-2010 survey of 72,000 schools (kindergarten through high school) shows that while Black students made up only 18 percent of those enrolled in the schools sampled, they accounted for 35 percent of those suspended once, 46 percent of those suspended more than once and 39 percent of all expulsions. Over all, Black students were three and a half times more likely to be suspended or expelled than their White peers (Lewin, 2012). The following city-specific data illustrate the magnitude of this problem: African American students in Portland public schools are nearly five times more likely to be expelled or suspended than White students (Cody, 2013). According to the San Francisco Chronicle, almost 20 percent of Oakland’s Black male students were suspended at least once in 2011—six times the rate of White students (Lyfe, 2012). In Chicago public schools, Black students comprised 45 percent of the student body in the 2009-2010 academic year but 76 percent of the suspensions (New York Times – Education, 2012). Data compiled by the Ohio Children’s Defense Fund show that the level of disparity between out-of-school suspension rates for Black and White students in Ohio’s largest urban school districts ranges from a factor of 1.9 to a factor of 13.3. Overall, the disparity factor is 4.0, somewhat higher than the national average. This means that the average Black student enrolled in these districts is four times more likely to be suspended than the average White student (Children’s Defense Fund – Ohio, 2012). A 2010 study found that among students who were classified as overtly aggressive, African Americans were more likely to be disciplined than any other group (Horner, Fireman, & Wang, 2010). However, this trend varied based on the racial background of the teacher. Researchers have found that once Black students and White students are both placed with same-race teachers, and are similar on the other covariates, Black students’ classroom behavior is rated more favorably than is White students’ behavior (Downey & Pribesh, 2004). 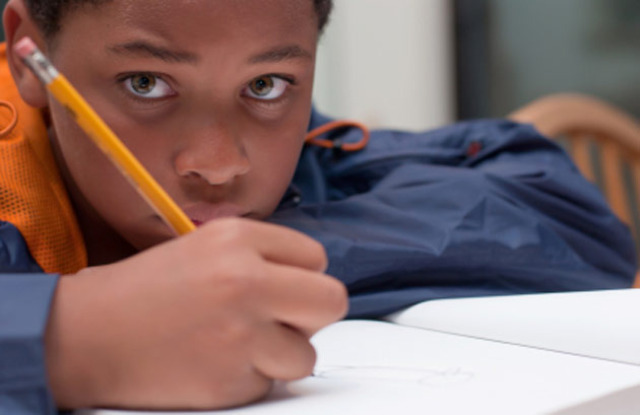 Research suggests that Black students as young as age five are routinely suspended and expelled from schools for minor infractions like talking back to teachers or writing on their desks. In a simple analysis of this phenomenon, the over-zealous application of “zero tolerance” policies gets all the blame, but a deeper dig will show a far more complex scenario. Although discriminant analysis suggests that disproportionate rates of office referral and suspension for boys are due to increased rates of misbehavior, no support was found for the hypothesis that African American students act out more than other students. Rather, African American students appear to be referred to the office for less serious and more subjective reasons. Coupled with extensive and highly consistent prior data, these results argue that disproportionate representation of African Americans in office referrals, suspension and expulsion is evidence of a pervasive and systematic bias that may well be inherent in the use of exclusionary discipline (Skiba, 2000). Black children lack any form of family structure. They are not taught respect for teachers or any [authoritive] figures. Most black children are disruptive, aggressive and are [more keen] on gang culture than getting an education (www.topix.com, 2010). This perception of disinvestment often creates a stereotype of poor Black students as unruly, disruptive and disrespectful. Not surprisingly, research suggests that, generally, African American teachers rate the behavior of African American students more favorable than White teachers. “Implicit bias” is heavily implicated as a contributing factor when we analyze the causes of racial disproportionality in school discipline. In this context, implicit bias is defined as the mental process that causes us to have negative feelings and attitudes about people based on characteristics like race, ethnicity, age and appearance. Because this cognitive process functions in our unconscious mind, we are typically not consciously aware of the negative racial biases that we develop over the course of our lifetime. In the general population, implicit racial bias often supports the stereotypical caricature of Black youth—especially males—as irresponsible, dishonest, and dangerous. In an ideal world, teachers and school administrators would be immune to these unconscious negative attitudes and predispositions about race. But, of course, they are not. So, for example, a 2003 study found that students who displayed a “black walking style” were perceived by their teachers as lower in academic achievement, highly aggressive and more likely to be in need of special education services (Neal, et al., 2003). At the Kirwan Institute, our research suggests that implicit bias is implicated in every aspect of racial and ethnic inequality and injustice. One of most powerful consequences of implicit racial bias is that it often robs us of a sense of real compassion for and connection to individuals and groups who suffer the burdens of racial inequality and injustice in our society. So, for example, many policy makers and voters feel that people of color who are isolated in segregated low opportunity communities in our major metropolitan areas are just getting “what they deserve.” In each of us, implicit bias contributes to the development of an unconscious “hierarchy of caring” that influences who we care about and what groups and individuals are beyond our caring, in a place of invisibility or disposability. Existing research suggests that implicit racial bias may influence a teacher’s expectations for academic success. For example, a 2007 meta-analysis of research found statistically significant evidence that teachers hold lower expectations—either implicitly or explicitly, or both—for African American and Latino children compared to European American children (Rosenthal & Jacobson, 1968; Tenenbaum & Ruck, 2007). The results of this study align with previous meta-analyses investigating this issue. In a 2002 study, researchers used a sample of 561 elementary school children to determine if a student’s race or ethnicity played a role in their susceptibility to teacher “expectancy effects.” By conceptualizing teacher expectations as the degree to which teachers over- or under-estimated achievement compared to the students’ actual academic performance, researchers found that African American children are more likely than White children “to confirm teacher underestimates of ability and less likely to benefit from teacher overestimates of ability” (McKown & Weinstein, 2002, p. 176). Lowered expectations in the classroom may result in differential treatment for students of color, including less praise and more disciplinary action from teachers. Research suggests that when given an opportunity to choose among several disciplinary options for a relatively minor offense, teachers and school administrators often choose more severe punishment for Black students than for White students for the same offense. 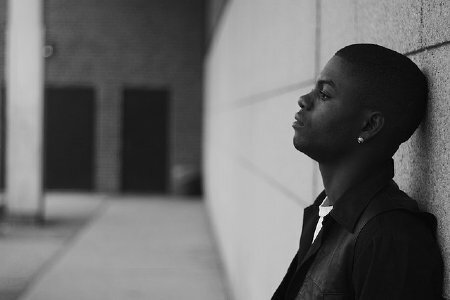 For example, in the 2008-2009 academic year, Black students in North Carolina public schools were suspended at rates significantly higher than White students: eight times higher for cell phone use, six times higher for dress code violation, two times higher for disruptive behavior, and 10 times higher for displays of affection (Losen, 2010). When Black students do “act out” in their classrooms in relatively benign ways, zero tolerance policies provide the opportunity for teachers and administrators—regardless of race or ethnicity—to apply excessive punishment, not just as a consequence of the minor infraction, but also as a reflection of implicit racial bias and a reprisal for the student’s perceived cultural deficiency. In California, 48% of the 710,000 suspensions issued in the 2011-2012 school year were for “willful defiance,” an offense that includes behaviors such as refusing to take off a hat, turn off a cellphone or failing to wear a school uniform (Los Angeles Times, 2013). During the 2010-2011 school year, according to data from the Ohio Department of Education, only 6% of out-of-school suspensions involved weapons or drugs, while 64% of suspensions were for disobedient or disruptive behavior, truancy, or intimidation (The Ohio Senate, 2013). In 1998, the Ohio General Assembly passed a broad mandate that requires all public schools in the state to adopt a zero tolerance policy for “violent, disruptive, or inappropriate behavior (Section 3313.534 of the Ohio Revised Code.) As schools and districts in Ohio and across the country take an overly‐punitive approach to the implementation of zero tolerance policies, more and more students of color—and younger students—are being pushed out of school by suspensions or expulsions for relatively minor infractions like talking back to teachers or inappropriate dress. When these students are away from school, often in unsupervised settings, they fall behind academically and are often unable to catch up. Students who enter the juvenile justice system through the school-to‐prison pipeline often find it difficult to return to school. “There are no data showing that out-of-school suspension or expulsion reduce rates of disruption or improve school climate; indeed, the available data suggest that, if anything, disciplinary removal appears to have negative effects on student outcomes and the learning climate” (American Psychological Association, 2008 in Minnesota Department of Education, 2012). Suspensions, often the first stop along the pipeline, play a crucial role in pushing students from the school system and into the criminal justice system. Research shows a clear correlation between suspensions and both low achievement and dropping out of school altogether. Such research also demonstrates a link between dropping out of school and incarceration later in life. Specifically, students who have been suspended are three times more likely to drop out by the 10th grade than students who have never been suspended. Dropping out in turn triples the likelihood that a person will be incarcerated later in life. 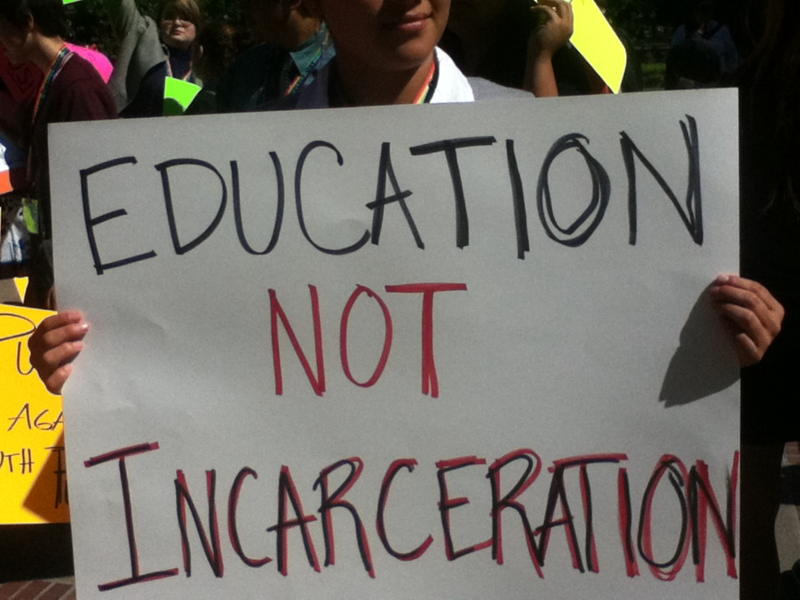 In 1997, 68 percent of state prison inmates were school dropouts (New York Civil Liberties Union, 2008). Today, many teachers and school administrators are frustrated by seemingly insurmountable problems in our country’s K-12 education system, especially in racially isolated, under-resourced, low-performing urban school districts. Too often, teachers get a disproportionate share of the blame for problems like high dropout rates, the racialized achievement gap, and the school funding crisis. When these problems are compounded by growing animosity toward teacher unions and a teacher evaluation/compensation system based heavily on standardized test results, it is not difficult to understand a growing sense of frustration among public school teachers, counselors and other personnel. These pressures coupled with growing classroom demands may leave inadequate time for teachers to voluntarily reflect on their own racial attitudes and how these attitudes might impact their students. What’s needed is an expansion of formal cultural competency training to include information about implicit bias and its consequences. If teachers and school administrators are aware of their racial biases, they will be better equipped to push back against these harmful attitudes. The problem of racial and ethnic disproportionality in school discipline is not new. In 1975, in one of the earliest investigations of school disciplinary policies and practices, the Children’s Defense Fund revealed that suspension rates for African American students were between two and three times higher than those for White students (Drackford, 2006). Ongoing research shows that in many places, this problem has worsened, significantly. Our willingness to address this and other “racialized” problems in the Nation’s public education system is influenced by long standing racial discrimination and implicit racial bias. To proactively address racial imbalance in school discipline, we must continue to call out and push back against implicit racial bias and we must convince the American people that racial and ethnic bias in school discipline is a sign that the entire education system is out of balance. developing a training and information program for students and community members that explains the school’s discipline policies and what is expected of student in an age-appropriate, easily understood manner. To ensure compliance with the provisions of the Guidance, the U.S. Department of Education and the Department of Justice will investigate complaints of bias in the application of school discipline and both departments will conduct compliance reviews nationwide (U.S. Department of Justice; U.S. Department of Education, 2014). as an alternative to out‐of‐school suspensions, implement in‐school disciplinary measures that temporarily separate serious offenders from the general student population but keep these students in school. A model program, the Success Academy (Education Week, 2013) has been implemented in the Baltimore public school system with very positive outcomes. Rosenthal, R., & Jacobson, L. (1968). Pygmalion in the Classroom. New York, NY: Rinehart & Winston. Tom joined the staff of the Kirwan Institute in 2004. In his current capacity as Director of Education and Emerging Research, he is responsible for expanding the Institute’s research agenda on issues related to educational opportunity and envisioning and energizing new research in criminal justice, implicit bias and health/health care with a focus on the social determinants of health. Tom received a Bachelor of Science in sociology and a Master of Science in higher education, student affairs from Iowa State University. He has pursued doctoral study in educational policy and leadership at The Ohio State University. Prior to joining the staff at the Institute, Tom served on the professional staff of the Ohio Board of Regents where he directed the Department of State Grants and Scholarships and then served as Director of Student Financial Access in the division of educational linkages and access. Tom has worked extensively on issues related to strategies for improving access to higher education and the quality of preK-12 education. He recently completed a funded project aimed at broadening awareness of the ways in which traditional approaches to merit in the college admissions process have created barriers to educational opportunity, limited racial and ethnic diversity and obscured the democratic mission of the academy. Tom is originally from White Plains, New York. He is married to Dr. Nancy Rudd, a professor in the College of Education and Human Ecology at Oho State. He has three adult children. His youngest son is currently enrolled in a combined masters/doctoral program in biomedical engineering at Ohio State. Tom is an avid amateur photographer. Research interests: Structural and cognitive barriers to opportunity; education; criminal justice; health care; democratic merit; the meaning of race; racial discourse; race and cognition; implicit racial bias.